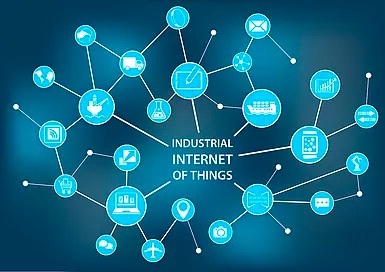 The Industrial Internet of Things (IIoT) is already transforming the manufacturing industry by enabling a dramatic rise in increasingly advanced, real-time measurements yielding more and more actionable data. This has already created new opportunities for optimization and will continue to accelerate the adoption of machine learning. Examples of IIoT transformation can be found across established and new industries alike. Chemical manufacturers have been installing sensors and archiving and analyzing troves of data for decades, with the goal of optimizing processes, improving quality, and reactively troubleshooting failures. However, the scale of the data, numbers of variables and required manual manipulation of data sets makes real-time, complete optimization across an entire supply chain extremely difficult to achieve. The IIoT revolution is creating a universe of sensors, detectors, automation, software, and other “Big Data” analytics tools, which in turn enable an accelerated, deep learning of existing operations. These new hardware and software tools allow for rapid contextualization, visualization, computation, and automatic pattern and trend detection. Furthering this knowledge of manufacturing processes will finally allow for true quantitative capture of what are oftentimes qualitative, ‘tribal’ or ‘expert’ human experiences running manufacturing operations. Once the IIoT enabled tools are setup to understand all of the inputs and outputs of a manufacturing process, companies will begin to see the what, how and why of all of their anomalies. Eventually, these manufacturers will be able to predict all of the key metrics driving production and directly control the outputs with much more precision. Another aspect will be the integration of the entire manufacturing value chain from raw material through end user. Many companies and organizations, like the Smart Manufacturing Leadership Coalition (SMLC), are working on platforms and tools that will allow this end-to-end integration across suppliers in an open protocol and accessible to even the smallest participants in the value chain. In this new landscape, workers will be able to leverage IIoT tools to add increasing levels of value to all company operations. Development cycles for new products will accelerate, and new skills will be needed to continually support the changing needs of production. In the end, not just IIoT, but an accumulating knowledge, breakthroughs in materials, physical and biological sciences, energy, and artificial intelligence tools will push manufacturing into the new global paradigm of fully automated, dynamic manufacturing optimization i.e. Smart Manufacturing.